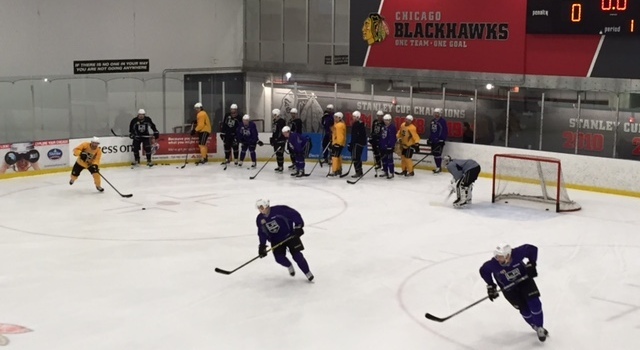 Good afternoon from Chicago, where the Kings practiced early in the afternoon at Johnny’s IceHouse, which sounds like the perfect name for a hockey-themed bar with an attached sheet of ice. Come to think of it, that venture sounds like a tremendous idea. The full team took the ice at noon and practiced for roughly half an hour, with several players remaining on the ice for additional skill development. 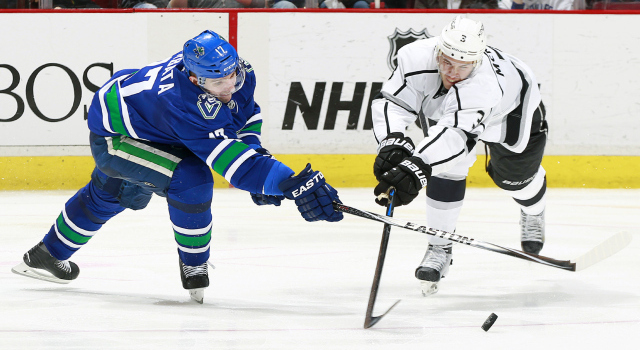 All available players were accounted for, as was Tanner Pearson. Defensemen skated through similar drills at the opposite end of the ice. Given that the team skated three times in 26 hours or so – including a game in Minnesota – it will be interesting to see if there will be full participation at tomorrow’s morning skate. Meanwhile, Chicago faces Winnipeg at the MTS Centre at 6:30 p.m. this evening, and Corey Crawford is starting. Kyle Baun didn't travel to Winnipeg with #Blackhawks due to visa issue. He's "an option" to play vs. Kings, according to Joel Quenneville. -Baun, the grandson of former Maple Leaf Bob Baun, signed a two-year, entry-level contract with the Blackhawks earlier this week after deciding to forego his senior season at Colgate. He won’t necessarily play, but is an “option,” per Kuc. -I’ll have more shortly from Darryl Sutter, who liked the way the Kings played after the first period last night and once again had positive things to say about the Minnesota Wild, who he called an “elite team” back in October.